Pain pills and depression took my mother. Addiction can be one of the hardest issues to deal with for a family. The personal struggle can be overwhelming, if not terrifying, and help can often seem out of reach. 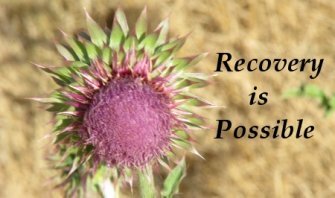 Rehabs are available to help you confront the physical and mental aspects of your addiction. Make the choice to get help now rather than later for yourself and your family. Your children only get one set of parents, and you only get one chance at raising them. Growing up with a sick parent is never easy. My mother struggled with many physical and mental ailments throughout her life. Her young life was riddled with abuse from an alcoholic father and neglectful mother. She began suffering from chronic back pain when she was diagnosed with scoliosis as sophomore in high school. After a year of being practically immobilized by a cast and back brace she was unable to return to school. She worked in factories, fields, and dry cleaners until her back pain forced her to go on disability. After years of constant chronic pain, and countless doctors trying to diagnosis and manage her mental illnesses, she sunk into a deep depression. She became a recluse and turned to sleeping and pain pills to help her get through the day. Her addiction became so debilitating that she often forgot what day it was and whether she'd taken her prescriptions; sometimes she would take multiple doses in her confusion. Years of going to different doctors, being committed to hospitals for apparent suicide attempts, and receiving no diagnosis on why her pain was so debilitating was obviously discouraging. She began to lose weight and lose her vision. At times her vision would go completely. By the time she turned 50 she was as frail as an 80 year old woman. Eventually she became so weak a nurse was assigned to care for her during the week. Even with supervision and frantic daughters caring for her, her addiction to her pills and mental illnesses proved too much for her. I know I'm not alone. Many children watch as their loved ones suffer for reasons they can't understand. I wish my mother would have been strong enough to find the help she desperately wanted and needed. If I could offer advice to anyone suffering from addiction or mental illness or both, it would be simply this: It's never too late to get help. Help is available and attainable. If you can't find the strength from within then think about your children. No one wants this to be their story.